Checkboxes are used when there are lists of options and the user may select any number of choices, including zero, one, or several. In other words, each checkbox is independent of all other checkboxes in the list, so checking one box doesn't uncheck the others. I have a scenario where the user has the option to attach a CV/Resume to a message from a list of CV/resumes that the user has previously uploaded. The user doesn't have to select any, but only one CV/Resume can be sent with each message. Therefore radio buttons aren't applicable here because the user can not de-select a radio button. Checkboxes aren't applicable either really as only multiple can be selected. So what would be the control? I've gone with checkboxes and extended the functionality to only select 1 at a time. So I guess my question is, have I made the wrong decision extending checkboxes? And if so, what would be a better solution? I would use a radio list and include "don't attach a CV" as one of the options. Don't modify the behaviour of checkboxes - that would be misleading. Matt's solution seems very clear to me. However it depends on the number of CV's you are going to show them. If the person has approximately more than 5-6 CV's; I would suggest to have a selection box - combo box. I would also suggest to put the no-CV option at the checkout. I have another suggestion. selecting from a large list is something I deal with on my everyday design work. I would suggest to add additional info to the CVs (upload date, given description, etc...) while selecting and viewing. Thinking about common default option might help you to decide for best UI. There are plenty of UI customization you can implement in such situation, for instance you can provide a drop down list box with the list containing all the Resumes. The 0th element would be 'NA' or something like that so that its up to the user to select or not select the Resume. 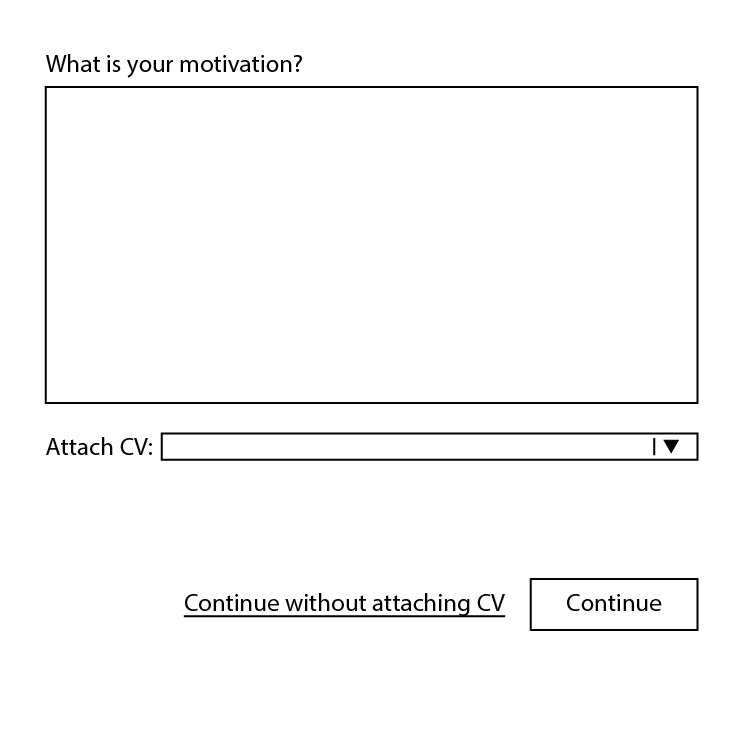 Second you can use Radio button and can always provide a way to deselect the attached Resume after its gets attached to the message by using a simple cancel/cross button. So, even after the user selected the Resume , he/she can cancel it using that button.